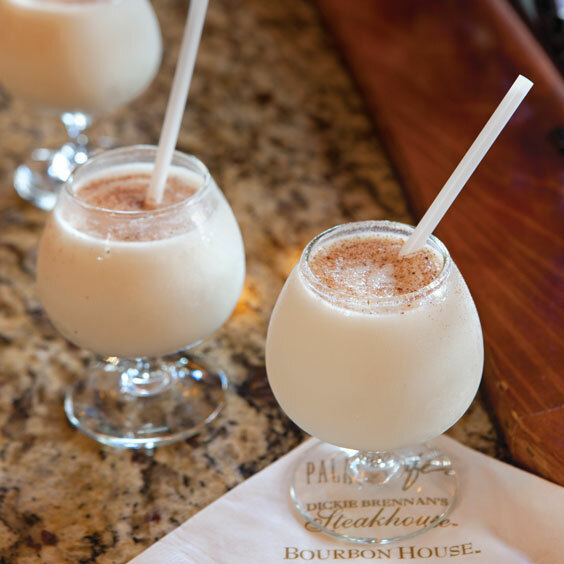 With Mardi Gras revelry all around, the joy of strolling through the French Quarter with a Bourbon Milk Punch is hard to beat. The barkeeps at Dickie Brennan’s Bourbon House have their own little twist on the classic drink—they serve it as a milkshake. 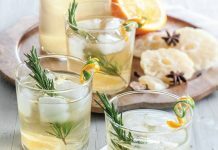 If you can’t make it to the French Quarter, they gave us the recipe so you can whip up a batch at home. In the container of a blender, combine milk, bourbon, vanilla, Simple Syrup, and ice cream; blend 8 seconds. 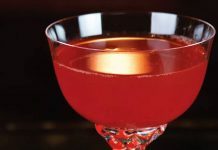 Pour into glasses, and garnish with grated nutmeg, if desired. In a small saucepan, bring 1 cup sugar and 1 cup water to a boil. Reduce heat, and simmer, stirring until sugar dissolves. Let cool to room temperature before using. Refrigerate in an airtight container up to 1 month. This looks awesome!!! Can’t wait to try this!! Is the 1/4 CuP of vanilla extract correct?????? That seems like a lot! I love these and the Bourbon House is my second stop (after Acme) when I am in the quarter. It’s true, 1/4 cup of vanilla extract sounds like a lot but you’re also working with 4 cups of milk and 2 cups of ice cream. I was in NOLA this past January for the Feverborn (book) launch party for Karen Marie Moning (author.) one of the stops on our amazing race was Dickie Brennan’s for the bourbon milk punch, and it was delicious. I’m so excited to find this recipe. One of the best cocktails I had last week! 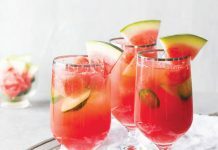 Will make at home, for sure! !